So you wanted to update the look of your bathroom by installing new tile, but you realized that it could turn into a much larger bathroom remodel. Not to worry, there are varying degrees of building a shower, from just removing the interior shower and exterior bathroom walls to a major renovation of removing a bath tub and replacing it with a built up shower pan. To help you in learning more about your choices along with installing tile, we have outlined the entire process of building a shower. Typically, when undergoing a complete bathroom remodel, the entire bathroom is gutted of vanities, fixtures, walls, and even floors, exposing the wood framework. Partial bathroom remodels might leave vanities and fixtures in place and only remove walls from the studs. Your remodel needs will dictate the extent of demolition you will have to undertake. Furthermore, as soon as the studs are exposed, you will be able to inspect and determine how much, if any, damage has been caused due to moisture penetrating the walls or faulty plumbing. At this stage you will be able to see wood rot or termite infestation if moisture did make contact with the wall or floor framework. The framing of your bathroom is important for supplying structural integrity. If wood in the walls or floor is damaged, the structural strength could not be sufficient to sustain additional weight, such as a built up shower pan, or even from everyday usage. This is why the framing should be inspected by a professional contractor that can identify the health and strength of the walls and floors, but also to make sufficient structural updates in the event that your bathroom remodel will shift plumbing lines, fixtures, and add significant weight. Most damage to the wood structure will be due to a constant exposure to moisture, and typically this will occur where water pools or leaks. You bathroom remodel might consist of updating a currently existing built up shower pan or you may want to remove an existing bath tub and build up a shower pan. In either case, there are several components that exist along with a built up shower pan. For instance, the most important aspect of a built up shower pan is the shower curb. The curb acts as a dam, preventing water from everyday usage from escaping the pan, but also, in the event of a backup in the water drainage system, the curb works to stop rising water levels from entering the exterior areas of the bathroom. Another component that is typically found in a built up shower pan is a shower pony wall. The pony wall will usually act as an aesthetic barrier, but does also serve a purpose of dividing the shower area from the rest of the bathroom. A functional and focal component of your shower is a shower niche which acts to store shampoo bottles or any other accessory needed during normal shower usage. A final component is the shower seat, which comes in many forms and sizes to provide a rest area and also accommodate those who require special needs during shower usage. Depending upon the size of your bathroom, the electrical components could consist of the basics, such as light switches, which will operate ceiling or wall lighting, and a receptacle, which will allow you to operate a hair dryer or vanity light. Larger bathrooms could contain various light switches to individually operate lighting zones, such as in the shower area and outside the shower area. Furthermore, accessory items such as a ceiling fan and a wall heater are all operated from electrical switches. Whether you decide to get into a complete or partial bathroom remodel, it is important to have a professional contractor inspect your current electrical system, and more importantly the parts that lead into and out of the bathroom. Ensuring your electrical system is functioning appropriately and safely is important, adding to the electrical system with new lighting zones, receptacles, or accessories will require a professional contractor to determine what those needs are and how it is bet to achieve those needs. The plumbing system that brings water into and out of your bathroom is important in allowing your shower and fixtures to work properly. When the walls and floors of a bathroom have been completely removed, the inspection of the water supply and drainage pipes is critical in determining if faults exists, and if so are they the cause of existing wood damage. A professional contractor will be able to conclude if the current plumbing system is healthy or if updates need to be made in order to support the existing bathroom remodel. Additionally, should the footprint of the bathroom fixtures change, the plumbing system would need to accommodate these changes in the form of rerouting piping to new input areas. The plumbing is hardly ever seen, only exposed during a bathroom remodel or if a failure in the piping is present. The obvious part of the plumbing that is seen during normal shower usage, is the shower drain. The drain comes in many forms and sizes, depending upon your preferences. 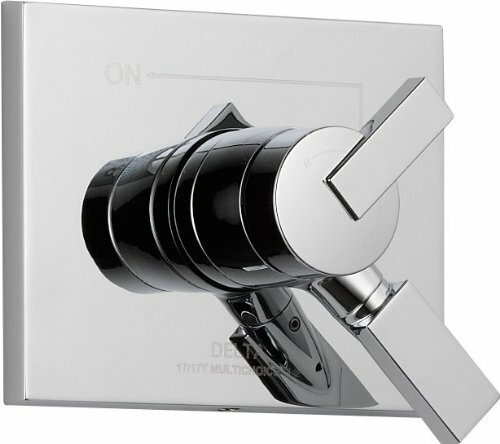 Behind the wall you will find the shower rough-in and diverter valves, which are brand specific, they manipulate the water mixture and choice of fixture, to your liking. The fixtures are as important to shower usage as the plumbing behind the walls and under the floor, your choice of shower trim, diverter trim, shower head, and hand shower all complement the experience you wish to enjoy during usage. Since the primary surface that tile is installed onto is in the wet area, it is important to note that tile alone is not a sufficient waterproofing strategy. Waterproofing, is perhaps the most important factor in your bathroom remodel that will ensure that moisture from the wet area of your shower does not reach the inner walls or floor. There are a myriad of products that can be used interchangeably, these choices are then considered methods which increase the success of your waterproofing strategy. A professional contractor will help you in choosing the best method to ensure your shower area is waterproof and decrease the possibility of water leaking out of the shower area. Building a shower pan encompasses using a sound and proven waterproofing strategy. A method chosen for a shower will encourage water to lead down to the shower drain and never into the floors. Shower bases and bath tubs are easier choices to install in your shower area and offer piece of mind that water will not leak. The shower walls are important in keeping, not just water, but vapor from entering and settling into the wood studs, therefore, a proven method is important to implement to ensure this does not occur. Finally, we get to the tile. Choosing the right tile is not just a functionally important decision, but it is also the most prominent design element of your bathroom remodel that you will enjoy during each shower usage. The basic differences are those that are manufactured, such as ceramic and porcelain, and those that are quarried, such as marble and granite. You also have size formats, some of which are a small as 4×4 or 6×6, and larger sizes, which can be 18×18 or 24×24. Your bathroom size and the amount wall area to be covered will determine the most adequate tile size. You also need to consider how you will finish you tile installation. Taking into consideration your bathroom layout, you can choose to end tile walls with a bullnose, typically a rounded edge tile, or a pencil tile, which is a rounded stone of varying sizes. You can also add an accent decorative, such as tile inlays, which are usually provided in a 12×12 size consisting of different design patterns. There are many different options to choose from to finish your tile installation, and ultimately complete your bathroom remodel.